Went on a boat trip to see the gannets at RSPB Bempton Cliffs diving in the water for fish. Didn't have much luck with the photos, there were so many it was difficult to get a clear shot of the gannets but I liked this one of the herring gull swooping in to steal a fish. Brave bird, I wouldn't like to get too close to a gannet's beak. awesome shot!! he caught a good meal! Wow, what a fabulous action shot. fav. Wow, instant favourite! Such an explosion of activity, I love it. What a fantastic capture! Fab Fav! You caught all the action! 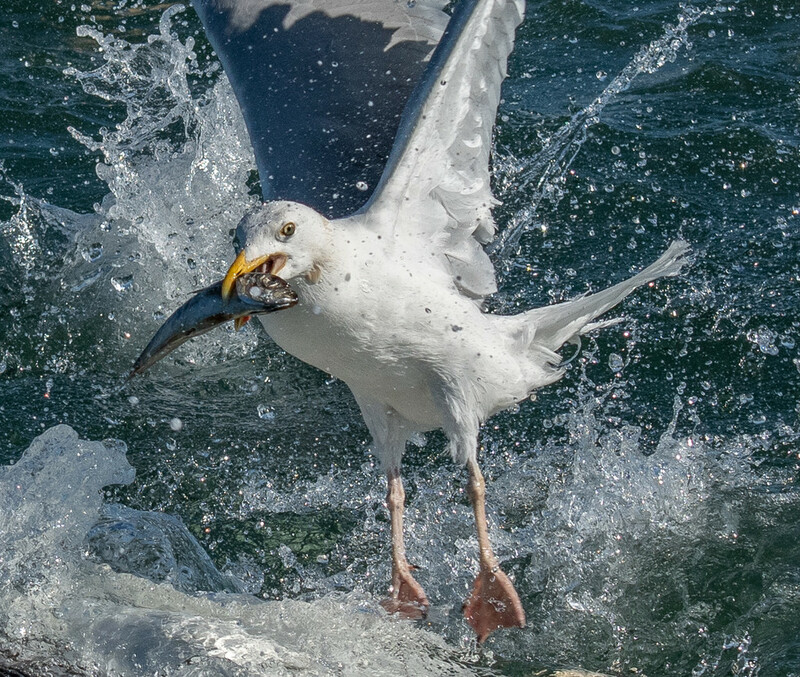 I think 'catch of the day' applies to the photo as well as the gull! Fantastic. Amazing clarity and sharpness given the moving subject and water.